being flexible and mastering unknown situations with creativity. All that is needed is the desire to learn and develop. You only have one chance to make a good first impression – Use it! and make a good first impression on others. You are only as good as you can present yourself. Not everyone was born with great charisma and a convincing presentation style. You can learn how to improvise! new goals and successful cooperation. Improvisation is key to innovation. allowing for new and successful collaborative experiences. You have to know your impact on others in order to be able to steer in the direction you would like to. In these two workshops, you can develop a better awareness of what your body language and communication style signal, as well as strengthen your charisma and stage presence. Either you have or you learn it! At the center of every appearance and presentation is your personality, through which you can only create an atmosphere of trust and evoke real interest. In this workshop, you will learn how to enter a room and start a presentation to communicate with authentic charisma and presence. Knowing what your body language signals is very essential. With the help of feedback and video analysis, you will analyze your own body language and how to use it appropriately. Furthermore, in this workshop, you will learn how to deal with unexpected situations and how to create security and trust, for yourself and your conversational partner, at the same time. Workshop: How to Change Your Status! Status is typically connected to a certain rank or position and the power that someone has in an organization or in society. However, in our daily lives, we position ourselves permanently and, to some extent, independently of our position in the company or society (e.g., even a beggar can have a high status, sometimes). We can change our status using our body language, verbal language and how we use space and time. Everyone prefers a certain status. Raising your status gives you more authority and assertiveness. Lowering your status enhances the status of your counterpart, making you more sympathetic and empathetic. Both are important and suited to different situations. Determining your own status through games and learning how to change your status are goals of this workshop. No matter if you want to inform, explain or sell something, there is not a sector in business for which presentations are not paramount. Therefore, it is important to have a large variety of presentation techniques available – suited to the content, the situation and your audience. What are the goals of my presentation? What expectations, attitudes and emotions does my audience have regarding the topic to be presented? What are my resources? Only after you answer these questions can you start realizing your presentation. With the help of feedback and video analysis, you can explore your own presentation style and, then, improve it. Improvisation is a technique that can be learned. It is important and useful for innovation, creativity, collaboration and teamwork. When you improvise, you must be in “the here and now” and, at the same time, develop common goals for the future. It is important to make offers and to accept others’ offers, to lead and to allow yourself to be led by others. On stage, you have to be self-confident and contribute your own ideas while simultaneously connecting with your teammates and their ideas – challenges that facilitators also have to master. Improvisation cultivates interpersonal skills; as teachers, trainers and facilitators, you are required to think on our feet, to rapidly make decisions and be in the moment. Practicing improvisation helps build all of these skills; plus, it is really fun! When should I change my Status, and why? Which Status do I prefer in my trainings? Improvisational theatre is a very fast and spontaneous way of playing theatre. The performers must work together; they have to make suggestions and accept other offers; they must lead and be led; and they have to take over responsibility in order to tell a collective story on stage. All of these skills are equally important tasks of leaders. What is also essential for effective managers is to be aware of their own status behavior. Status is typically connected to a certain rank or position and the power that someone has in an organization or in society. However, in our daily lives, we position ourselves permanently and, to some extent, independently of our position in a company or society (e.g., even a beggar can have a high status, sometimes). We can change our status using our body language, verbal language, and how we use space and time. For leaders, it is vital to know their own status, recognize the status of others, and be able to change their status, in order to best suit the situation and help reach their goals. When you improvise, you have to be in “the here and now,” instead of following a certain plan. Especially during a creative process, this is a key point, to be able to develop new and unexpected ideas as a team. On the one hand, it is important to engage and to connect with your colleagues. On the other hand, you must trust your own impulses and introduce them your ideas with confidence. So that in collaboration with your team mates a vision of the future, an idea for a new product or an unexpected solution can come to life. Principles of teamwork – yes and! We all work in and live with different teams and groups. Quite often, we experience difficulties and conflicts. Solutions exist for dealing effectively with these difficulties in intensive, sustainable and exciting ways. In the course of our lives, we have many very different experiences with groups; in some groups, we probably had a wonderful time and were very productive, while in other groups, we felt like we were in the wrong place and were wasting our time. However, most of us know very little about how groups really function and how we can influence the development of a group. During this five-day long, intensive Group Dynamics Training workshop, you learn how to reflect on your own behavior in groups. You will immerse yourself in group phenomena like cooperation, conflicts, competition, emotions, formation of groups, trust and influence, and learn how to influence groups. Teambuilding with Improvisational Theatre is an unconventional way of meeting your colleagues, to get to know them from different and new perspectives, and have a lot of fun together. To be able to tell convincing stories in Improvisational Theatre, it is important to work together, intensively and effectively. The basic rules of Improvisational Theatre are the same as the basic fundamentals of every good teamwork project. +41 79 309 65 74. Purposeful training in the relevant elements of applied improvisation gives leaders in organisations and institutes new tools, allowing them to move away from merely reacting to change situations towards a creative approach. This work boosts the agile and adaptive qualities of leadership, along with a collaboration style that is more effective and more dynamically oriented towards the issues at hand. Studium der Rechtswissenschaften an der Universität Wien und an der Universidad de la Complutense, Madrid; mehrjährige Erfahrung als interner Personalleiter eines Finanzdienstleisters zuständig für Mittel- und Osteuropa; Trainer, Berater und Moderator seit 2000. Leadership-Programme und Leadership-Trainings; Teamentwicklungen; Facilitation und Beratung; besonderer Schwerpunkt beim Thema Leadership: Führen in hochkomplexen, internationalen Organisationen. Mehrere Praxisjahre in internationaler Rechtsanwaltskanzlei, Vertretung nordamerikanischer Konzerne in Österreich; Personalleiter eines österreichischen Finanzdienstleisters, Betreuung der sechs osteuropäischen Töchter; seit 2000 selbständiger Unternehmensberater und Trainer; geschäftsführender Gesellschafter der Leeway Leadership Consulting GmbH, Wien. Trainer, Berater und Moderator in Profit- und Non-Profit-Unternehmen; Management & Leadership Development; Strategie, Design, Implementierung, Durchführung von innerbetrieblichen Ausbildungsprogrammen für Führungskräfte; Beratung, Moderation, Coaching, Trainings zum Thema interkulturelle Kompetenz; Mediation und Konfliktmanagement. Studium der Angewandten Psychologie, Psychopathologie sowie Wirtschafts- und Sozialgeschichte an der Universität Zürich; Promotion zum Dr. phil. im Fach Angewandte Psychologie; betriebswirtschaftliche Weiterbildung, Department of Continuing Education, Harvard University, Cambridge, MA; in Ausbildung zum Gruppendynamiktrainer und systemischen Organisationsberater bei der ÖGGO; Weiterbildung am D.I.P. (Deutschen Institut für Provokative Therapie); In Ausbildung am Institut Bewusstseinsstrategien (analoge Methoden in Training und Beratung). Assistant to the Managing Director, Institute for Cross-Cultural Communication AG, Zug; wissenschaftlicher Assistent Abteilung Angewandte Psychologie, Universität Zürich; Trainer und Berater Management Development, Schweizerischer Bankverein, Basel; Leiter Management und Leadership Development UBS Switzerland, UBS AG, Zürich; Berater, Projektleiter Group Human Resources, UBS AG, Zürich; selbstständiger Trainer und Berater für Einzelpersonen, Gruppen und Organisationen. Nach der Tätigkeit in einer Behörde als Sozialarbeiterin habe ich mich 1996 zunächst als Familientherapeutin selbstständig gemacht. Mit dem Wissen um Familiendynamik habe ich meinen Wirkungskreis in die Bereiche Training, Supervision/Coaching, Teamentwicklung erweitert und berate heute hauptsächlich kleinere und mittelständische (Familien-) Unternehmen, Behörden und Führungskräfte. We booked the workshops with Susanne Schinko-Fischli because we wanted to work on our ability to communicate with more than just words, and also because one of our board members had experience with improv theatre. As board members, at first we were unsure of exactly what benefits we could expect, so we went in with very open minds. The days we spent together actually helped us in several ways, not least because as participants we learned how to come closer together in a very refreshing and energising way. In these workshops, laughing together and learning together were not self-contradictory. What memories and impressions have we taken away from the improv theatre workshop? To experiment, within a safe environment, with how we can deal with different situations, and how we can push the envelope. We also very much appreciated the chance to work on our communicative abilities through entertaining exercises, and without having to listen to a lot of theory. We enquired about the workshop on Applied Improvisation with Susanne Schinko-Fischli because we wanted to test its applicability to the communication in the academic world.We had 13 participants covering the entire academic spectrum from Master students to Principal Investigators. Most participants found this workshop very interesting as well as useful and applicable to their work environment. The vast majority was very satisfied with the work of Susanne and expressed their desire to attend a similar, or a follow up type of workshop. As part of a series of measures aimed at improving our team, I very much wanted to invite all the team members to come together in a workshop setting where we could try to push beyond our normal everyday boundaries together. The aim was to experience together the many different sides of each individual, strengthen our already good foundation of trust, offer everyone the chance to come out of themselves and flourish, and to have some fun together. The workshop with Susanne Schinko-Fischli really got us moving! Every single person managed to push the envelope and expand their horizons. We really broke new ground, and our trust in one another demonstrably grew, even during the workshop itself. We have been better welded together as a team ever since. We often think about events from the workshop, and have a laugh together. What’s more, the day inspired us not only to work better together, but also with colleagues from elsewhere in the organisation. When your team is already on a firm foundation, applied improvisation is a wonderful and effective method to take the next step towards becoming a “High Performance Team”. Before the workshop, I had already had a lot to do with improvisational theatre, so I already knew the methods well. Since I had gained a lot from them even in my own training sessions, I decided to arrange an Impro Facilitation Workshop with our team of management development trainers. We wanted to use the workshop and methods from improv theatre to improve and expand our trainers’ skills, and bring them closer together as a team. With this training with Susanne Schinko-Fischli, we were really able to achieve both goals. Our trainers have become more creative, more daring, more ready to experiment, more spontaneous, and they also now use the methods in their own training sessions. Furthermore, the workshop was great for teambuilding, and that is exactly what I had wanted. It’s amazing that we are still talking about that workshop, even though it was a few years ago now. The workshop with Susanne Schinko-Fischli in 2012 was meant as an incentive for my team. We figured it could be good to spend a day acting on stage together, and indeed we ended up in an actual theatre, a small underground one in Vienna, which was really atmospheric. By 2014, the company had made some big steps forward, and had almost doubled in size. This seemed to me another situation where I thought improv might be a good idea, but this time far more precisely focused. I wanted the team to consolidate and to get to know each other better. The workshop was fun, entertaining, and exciting. We got a lot out of it, particularly as regards the team members’ understanding of each other. I can still remember a really practical example. During the workshop, we did an Elevator Pitch exercise, with each person playing both a customer and a staff member of meinungsraum.at. The task was to briefly introduce the company, and this quickly brought to light something that nobody had seen before: the customer-facing staff had a complete overview of the company; the back-office people, however, simply couldn’t explain what exactly we do and how we do it. After that, we developed our own programme that involved including the back-office staff in customer meetings and presentations. This has had two lasting effects: first, the back-office personnel learn more about the company, especially about how complicated customers can be, and the extent to which the customer-facing staff shield the back office from that. Second, it changed the way we talk within the company: when we discover fundamental themes such as these, we use the term “improv effect”, and we all know that we’ve come across something important. Given that we offer further education in the field of creative design, I naturally wanted to start the courses off with a bang. I had two ideas in my mind: I wanted to sow the seeds in a way that the students would remember, and I wanted to spark good cooperation between the courses. The workshop with Susanne Schinko-Fischli and Claudius Fischli met both of these expectations. The courses started with a great deal of positive energy, and the participants feel right at home. They are still energised by the workshop, as I could see in their midterm grades. I did not attend the workshop myself; nor was I able to see the films of the role-plays, as we plan to wait until the graduation party – that is, after three years – to show them. In this way, the students and I will be equally excited and certainly surprised when we see the films. I am standing on both feet! “Week by week I started to feel more relaxed and comfortable while I was standing in front of these people. I noticed that I wasn`t hiding my fears deep in my heart anymore but that I wanted to stand with them in front of other people and show them to these people, so that they could help me overcome them. I was glad of getting a feedback and that they were showing me my mistakes. These feedbacks really helped me to see myself. They helped me to notice that I wasn`t showing the real Eda while I was presenting. The real Eda in her normal life, when she is with her friends or family, would never be scared of standing in front of them and talking loud and brave. The real Eda would never be insecure of herself, of the way she might look or sound. This was one of the biggest turning points in my life. To notice that I was disguised in another personal being while I was presenting. And I didn`t want this. I didn`t want to become another person. I just wanted to be myself. Why shouldn`t I be able to hold presentations like the others in my class? Why should I feel precarious of myself? I`ve literally learned being myself in this class. It may sound strange that a person finds a way of fighting the personal fears through a course in the university but that`s true. Now I feel much more comfortable and secure while I am holding presentations. I can say that through this course I grew older and that I had the chance to fight that inner me that was always telling me to be afraid of presentations and afraid of strangers. I`ve learned to fade out this voice and concentrate myself on my presentation. This course helped me to see the fake me that wrapped me up while I was presenting and prevented me from being myself. So thank you Susanne for helping me to show the real me. I appreciate it a lot! The ability to advise and train patients and their relatives, along with representing the speciality in interprofessional teams are all principal tasks for any care expert. This means that presentation skills are essential to them. This workshop with Susanne Schinko-Fischli and Claudius Fischli gave the participants not only the chance to expand these competencies through direct experience with a variety of improvisation situations, but also to reflect on their own behaviour and how that influenced themselves and the group. Reflection supports critical thinking, and is an important element of professional behaviour. It expands our limited perception, and the resulting awareness of certain behaviours enables us to modify them in the future. This workshop allowed the participants to expand their professional abilities, which are so necessary to the central challenge of care, that is, to understand and address the whole person. In the book, “Applied Improvisation for Coaches and Leaders,” I explain not only in theory, but also in practice, how you can boost your team’s creativity by using Applied Improvisation to foster agile collaboration and innovation within your company. The most important and basic rule for co-creativity is to accept the ideas of your teammates and integrate your own contributions. Applied Improvisation builds upon the principle of taking the lead, if needed, and being guided, if requested. In this co-creative practice, you can develop collective ideas for the future and find innovative answers to complex questions. You will also explore the concept of “Status,” developed for actors and having nothing to do with cars and watches, rather with the way you act. It is about your personal aura of power and influence, and how you can change it according to the requirements of the situation. “Status” permeates all communication and is something you can change! This book is written for Coaches, Facilitators and Leaders, who seek new catalysts for their work. It offers a variety of perspectives on soft skill topics including Teamwork, Co-Creativity, Storytelling, Body language and Status. Using Applied Improvisation enables very intensive and effective learning that is simultaneously very engaging and fun. The book also includes a great variety of exercises ready to use with your teams in team building workshops or any other soft skill workshop. 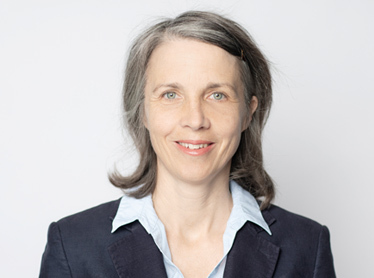 Susanne Schinko – Fischli, M.A.